Students and staff at Cannon Arts Dance Studio have been energetically preparing for their first major dance recital to be held January 30th at the Arts Center of Cannon County. 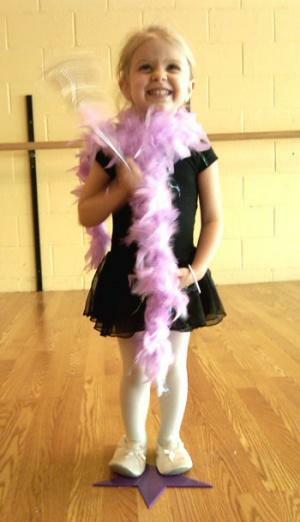 The classes available from tots to teens include Hip Hop, Ballroom, Tap, Jazz, Ballet, Tumbling / Cheer and Musical Theater. Adult tap and ballroom classes are also featured. Our junior conservatory company under the direction of Kaleena DeVar is preparing unique, contemporary dance pieces featuring overgrown toys. Lance Chandler is preparing a "thrilling" Michael Jackson tribute, while Kathryn Turney's class is turning up the temperature with Steam Heat. Our cheer coaches Alicia Bognanno and Sheree Fann are getting it together with precise moves and grooves, while Ms California's class is easing down the yellow brick road from The Whiz. Younger students look adorable as they practice ballet to My Favorite Things, Here Comes the Sun and Cinderella. Tappers learn their ABC's while keeping time with the Jackson 5. Our more mature hoofers are Broadway bound tapping out the rhythms New York, New York. The studio is also planning a December trip to see the Nashville ballet's Nutcracker at discounted rates. November 13th will be the last day new students will be accepted. Those wishing to join after that date will need to wait until the next session which starts February 1,2010. Be part of the fun and the excitement of performing on the Arts Center stage. Studio classes are $40 per month or $100 per session. Call 563-9122 for more information or email cannonarts@hughes.net. Ballroom inquiries should be directed to John Basinger at 563-5023 or 904-5966.